Braun Strowman hasn’t been seen on WWE Television in past few weeks and apart from a small update about his surgery, WWE has mostly been silent on the situation. With the company providing no updates on his condition even with only days remaining to the TLC PPV, a lot of people had started wondering if he will even be at the show, but we now know that he will at least attend the event. Pwinsider is reporting that the Monster Among Men is at the very least slated to be at the upcoming PPV. Though whether or not he will be wrestling at the event is still a mystery. 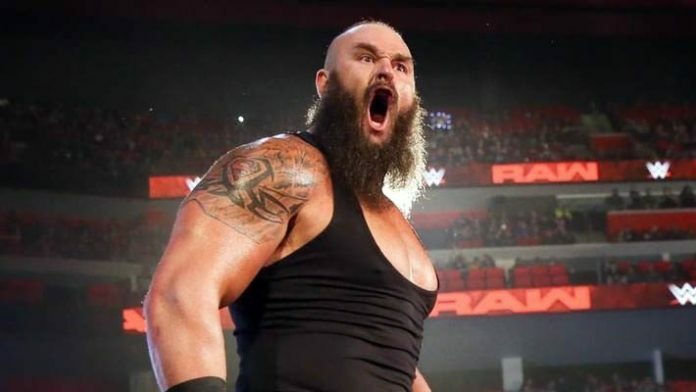 Braun Strowman has been away from WWE programming since the November 19th episode of Raw where Baron Corbin, Bobby Lashley, and Drew McIntyre unleashed a vicious three on one attack on him. This angle was designed to hide a real-life injury Strowman was dealing with and later in the week, WWE had reported that Braun will require surgery. He underwent the surgery next week and earlier reports suggested that if he is not ready to compete at the show, we could see a one-sided bout with the former Wyatt Family Member dominating the General Manager elect. How true these speculations turn out to be will only be revealed on Sunday but for now, we atleast know that Braun Strowman will be present for the PPV.